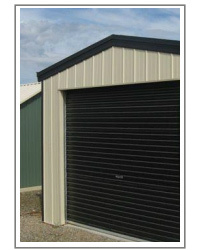 Cubbies & Sheds Galore has a huge range of steel buildings from Carports to Farm Machinery Sheds, Garages, Workshops and Factories. Our engineers are continually updating the range of building systems to make use of the latest materials and technology available. The designs are flexible as roller doors can be positioned in both gable ends or side walls, personal access doors can be positioned anywhere , a variety of window sizes can be added or gable ends and side walls can be left with no cladding at all. We also have a complete choice of Height options. 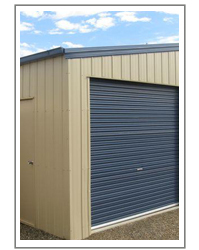 Combine this with a wide range of Bluescope Colorbond colours and the final product can be uniquely yours. Our steel building designs combine many years of experience in the installation process to produce one of the easiest steel buildings to install if installing yourself, or if using our qualified builders the time savings will reflect in both minimum disruption and cost savings. We can provide concrete slabs, delivery service or full installation and permit applications.